This arrived earlier in the week, ordered direct from China it took less than a week to arrive. Which is just as well as the rest of the papers are in Chinese! The leather croc strap supplied is surprisingly good - shame that its way too long for me! It cost £54 posted which I consider to be something of a bargain. 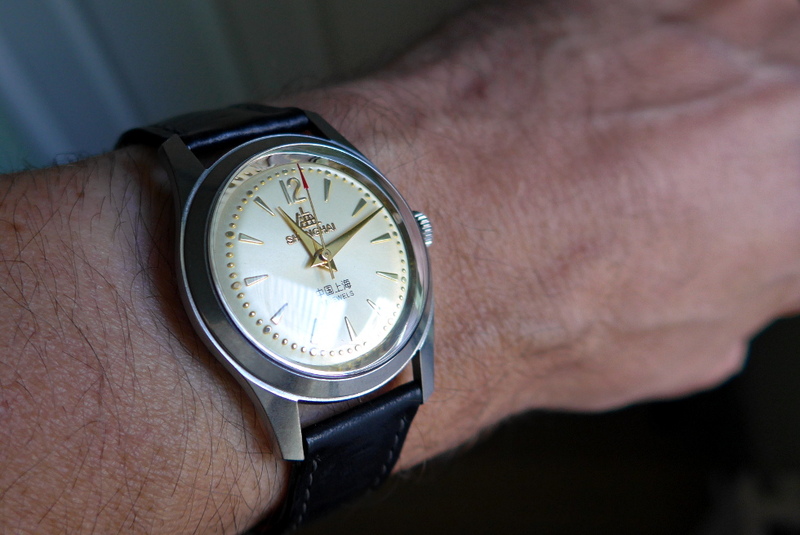 Really like those, I have a similar one with a champagne dial, all batons apart from the 12 numeral. Has a bead-blasted finish. Came with a very thin silky beige NATO type strap, but I put it on leather. Very accurate, a couple of seconds a day. Delightfully traditional little watch. Very nice indeed. The dial and numerals make for a nice touch of individuality, which I like. I had one of these - sold on here in 2015 - was it to you? I moved it on as I wasn't too keen on the case finish. Otherwise it was a lovely thing - I loved the dial. Ordered last Thursday and delivered this Wednesday from China. Customs label had something like 'specimen vintage watch' with low value written on it - so I had no tax to pay. Delivered via Hermes signed for. I think that they make their own movements - not sure though, perhaps someone can confirm? 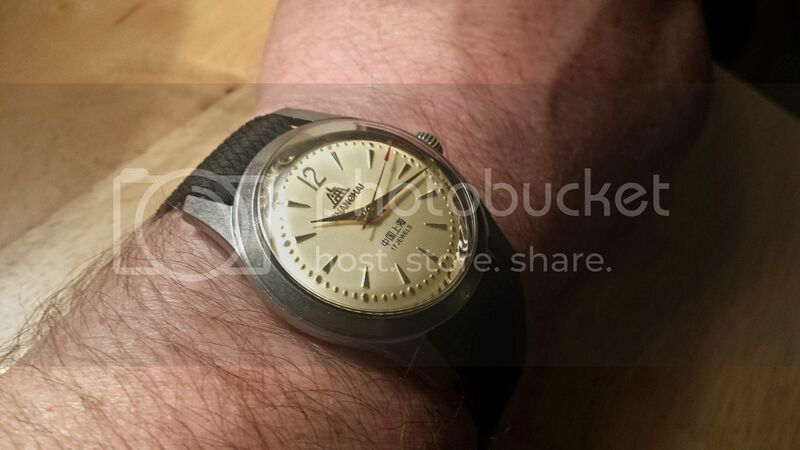 There used to be at least a very informative chap on WUS for Chinese watches vintage and modern think he was one of the mods for that sub forum. The guy you mention had an ebay name of "Trust the honest man" from what I recall. He sold a lot of Seagull, Beijing and Shanghai watches the prices were always pretty good. Some of his responses to negative feedback were pretty funny. Yes, I think it was! I was struggling to remember whom I'd bought it from, thank-you. And here's a pic taken just now. I've managed to make it look fairly large but in reality it wears rather small as you'd expect, which is part of its charm. Lovely dial, as you say. I'd forgotten about that black perlon, wonder what I've done with it? Thanks for showing us your watch. Can you please tell me about the quality of the stainless case?